Get ready for a super cute, super creative Do-It-Yourself wedding! 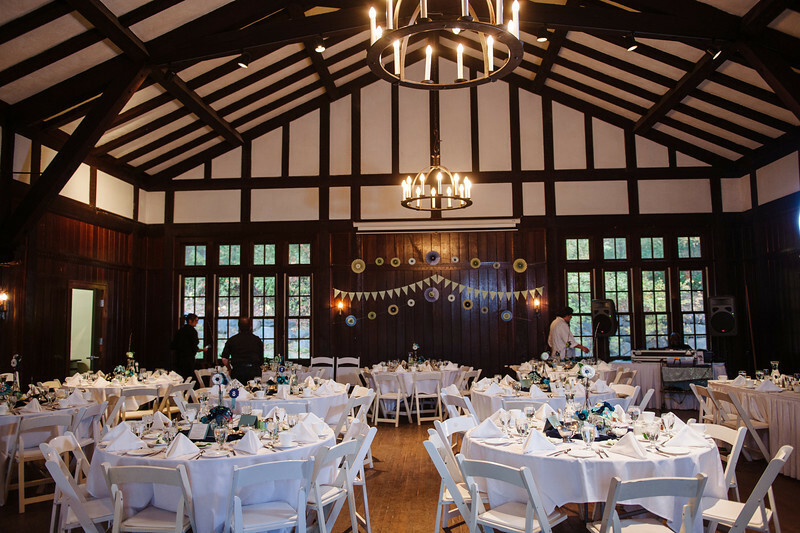 We hand-picked every wedding that got featured on our blog, and we thought this would be a great inspiration to you all. The bride and her mother really took D-I-Y projects to a whole other level. 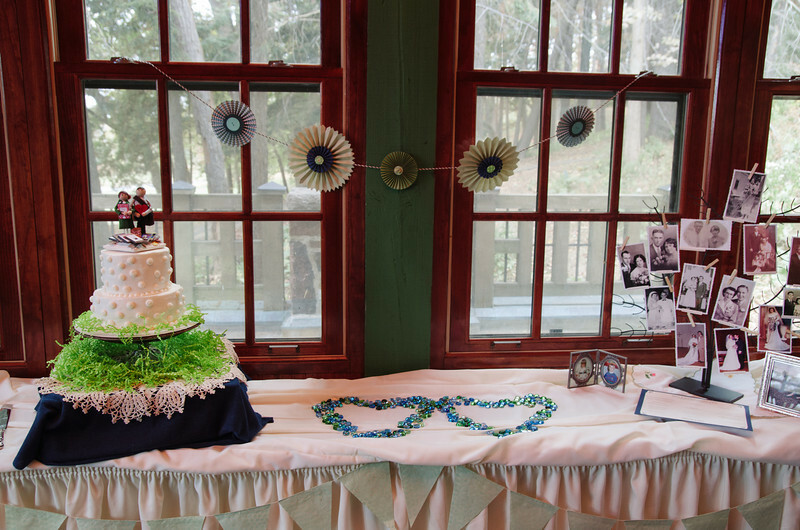 Erin, the bride, hand-sewn all of the bouquets, boutonnieres and flower centerpieces, while Paula, the mother of the bride, did all of the decorations, including a one-of-a-kind cake topper (which is a collaboration with her husband). 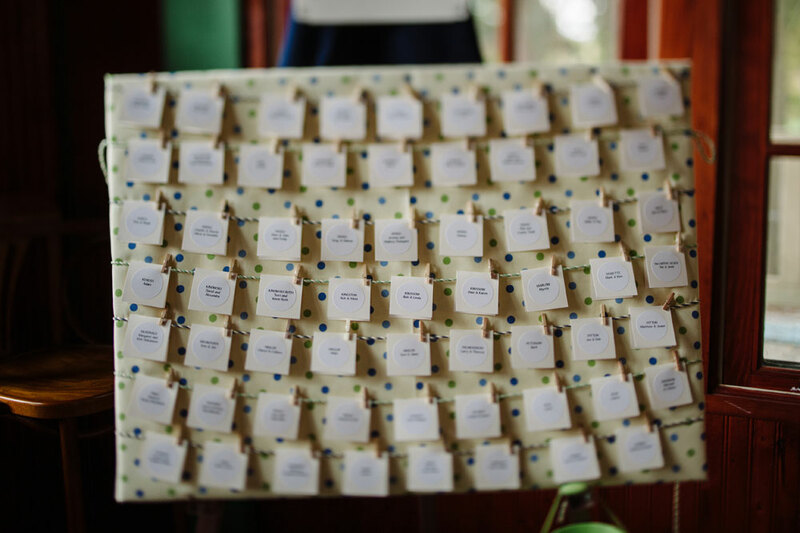 To this day, I am still in awe at how much of their personal touches really made the look of this wedding. One bridesmaid said to me that Erin “styled” her outfit. 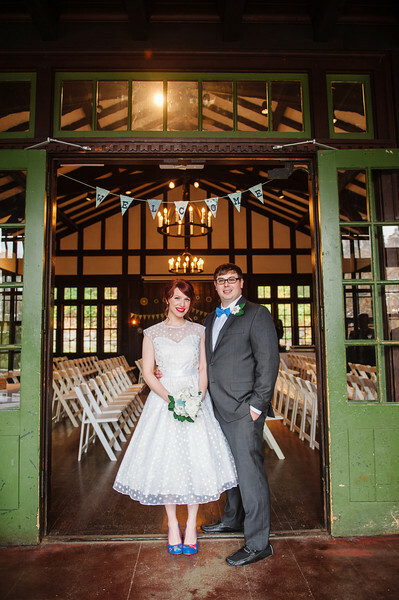 No wonder that each color combination and style blend perfectly to create this 1950s Polka Dot Inspired wedding. Erin even had the perfect shade of red lipstick! This mother-daughter duo had no doubt created a fantastic do-it-yourself wedding. On top of being super creative, Paula is one of the best clients I have ever had. She was detail-oriented and was a very good communicator. I had the greatest pleasure working with her! Be sure to read how they came up with this wedding style on Paula’s commentary at the end of this page! 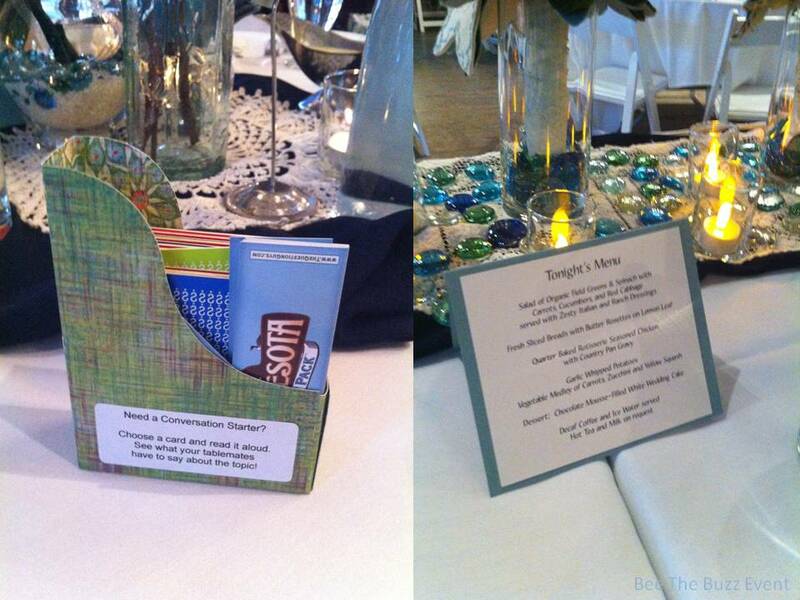 I love how they thought about the “green” aspects of styling a wedding. Kudos to them! 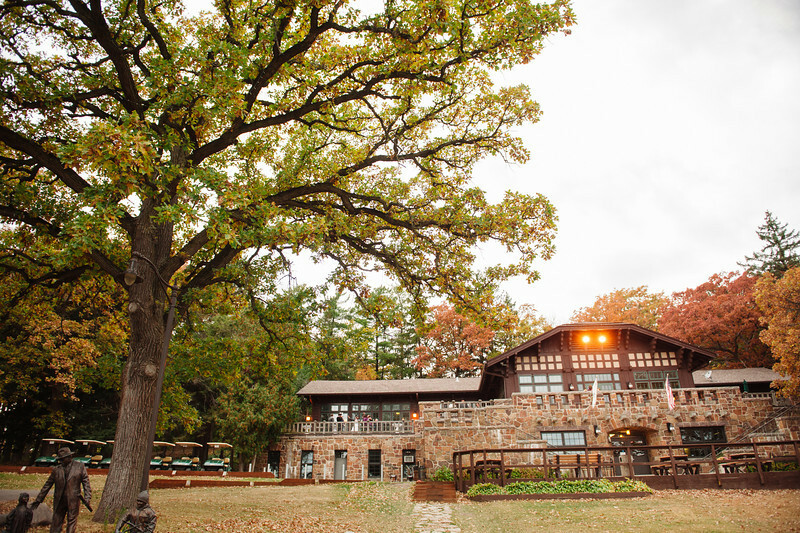 The wedding was held at Theodore Wirth Chalet on a chilly October day. It may look a little overcast from the outside but it was very festive in the inside! 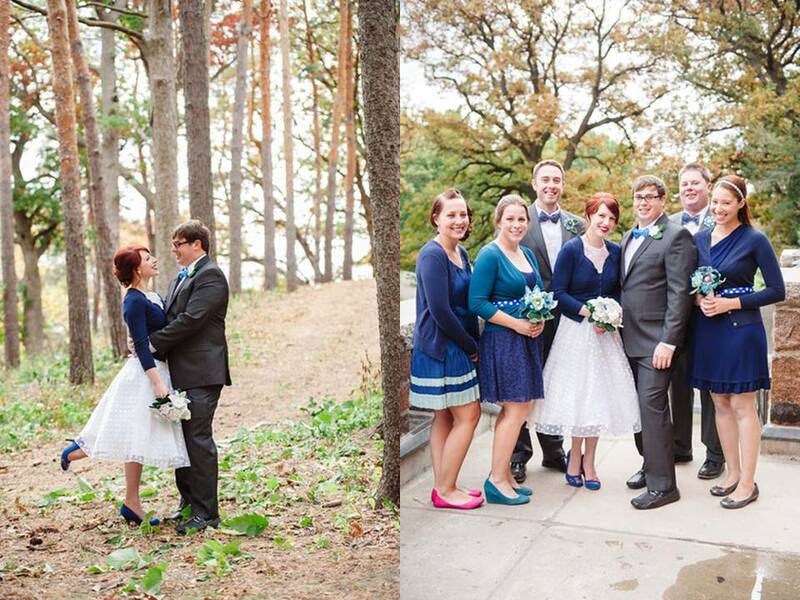 Erin styled her husband and her bridal party in a such chic color combination. The men had matching polka-dot bow ties and suspenders. The bridesmaids were perfectly mis-matched! All together = gorgeous. 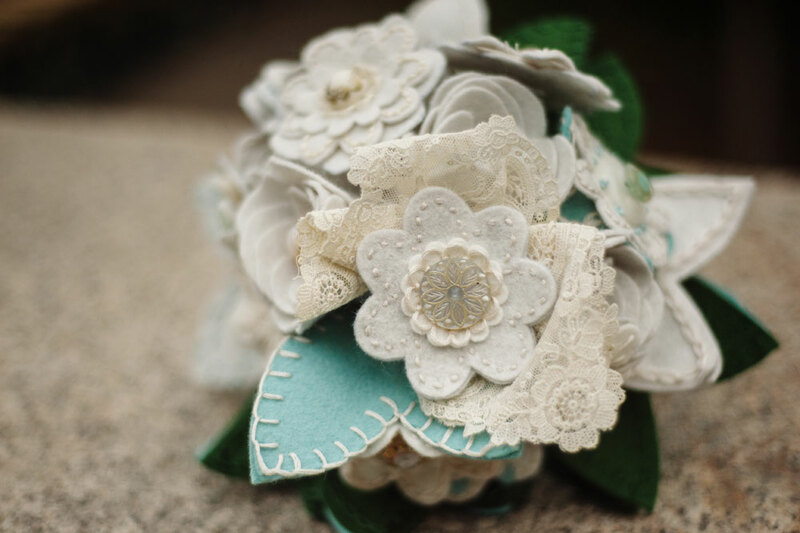 This is the bridal bouquet that Erin made herself – such a beautiful art! Paula styled the items for the fire place. From matching painted mason jars to the twinkle lights to the bunting flags, every single item that was up on that mantel was thought of carefully and executed in superb precision. Every single of the detail here was lovingly made by the mother of the bride. One centerpiece per table? Of course, not! We have 3 different shapes of vases that made every table is unique from one to the other! 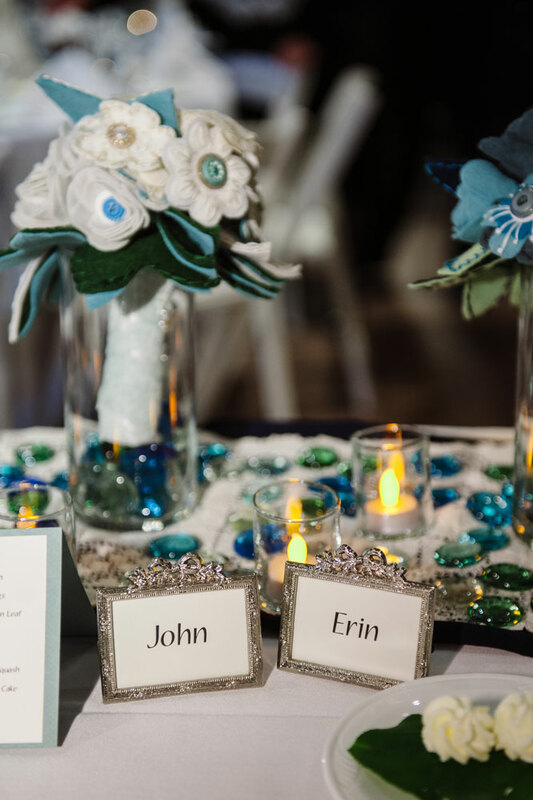 These details are the stars of the wedding. 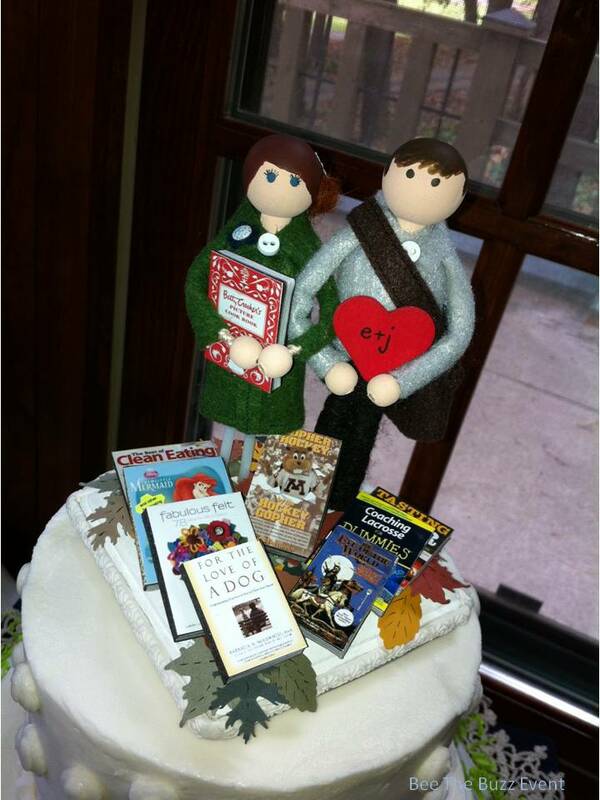 From the conversation starter on every table to the family tree to the cake topper (seriously, how cute is that? ), they thought of everything (including a few shawls that were available to the guests – which is not pictured – just in case the weather got really cold)! 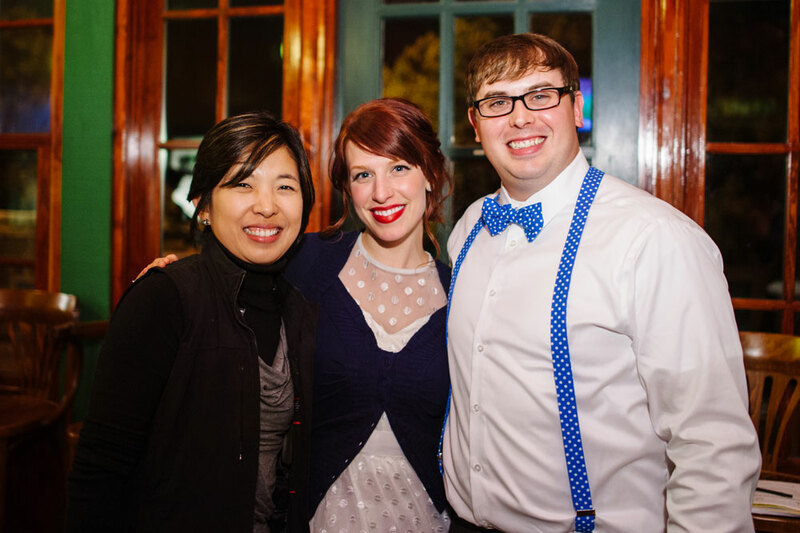 “Erin & John met about 6 years ago when a mutual friend introduced them to each other while Erin was visiting in Iowa. The friend was determined that the two of them would be perfect for each other! After their very brief introduction, neither of them was overly impressed initially, but soon after becoming friends, they began to date – surviving a long-distance relationship for a part of that time – and have been together ever since. John proposed during a weekend trip that he planned for Erin’s birthday to Duluth in the fall of 2010. 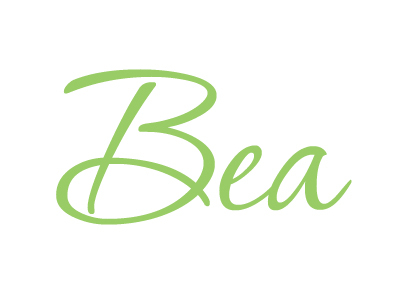 Erin has always loved vintage styles – clothing, jewelry, furniture, architecture. She has been ‘crafty’ her entire life and has become passionate about anything that she can DIY. Cooking, nutrition, environmental sustainability, and local sourcing for food and goods have become increasingly important to both John and Erin. When it came time to planning their wedding, they agreed that they would try to incorporate as much of these beliefs as was possible. 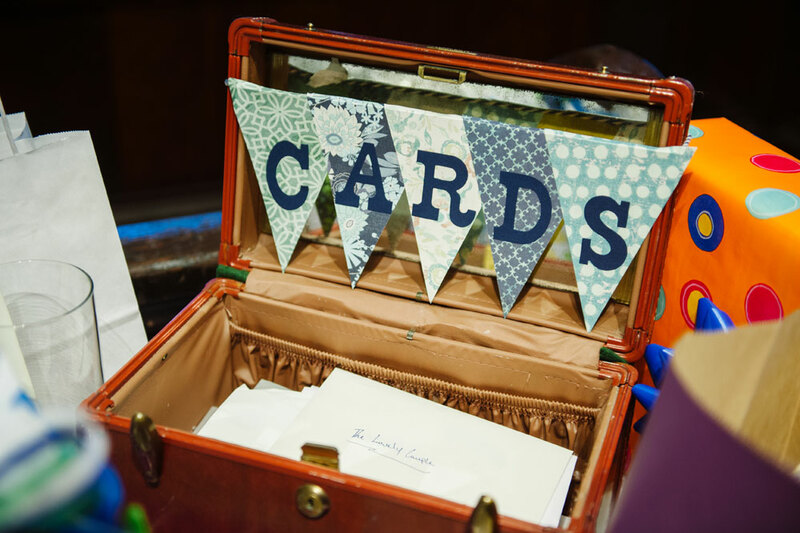 The theme of the wedding came about largely because we were trying to do everything as simple, natural, DIY, vintage, and personal as possible. 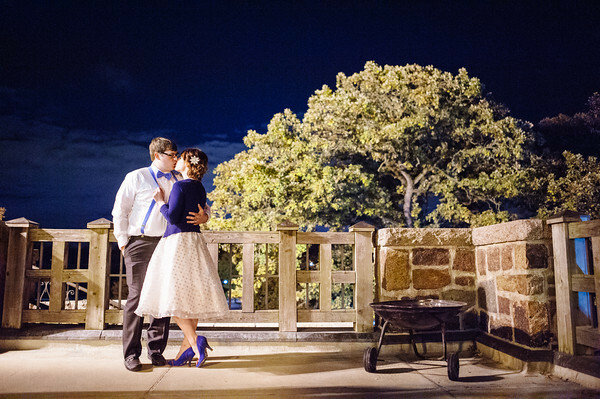 Before looking for her wedding dress, Erin had already decided she wanted something vintage (preferably from the 50s/60s era, something that would be recycled, something that someone else had loved and could be brought to life again). While shopping at Andrea’s Vintage Bridal, we just happened to discover this dress amongst the hundreds that were in the shop. Ironically, the dress fit her perfectly and required very little in alterations. 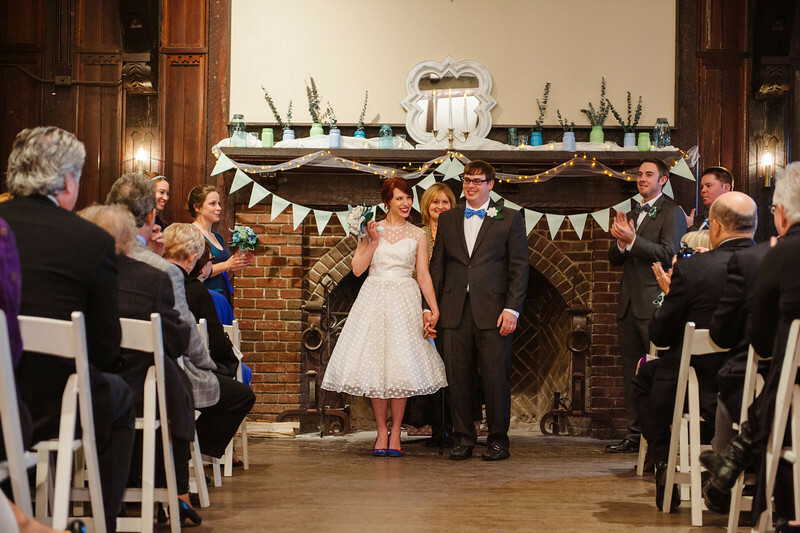 Erin has had a long-standing love of polka dots, and when she decided on this particular dress, the polka-dot theme took on a life of its own – reflected in the groom/groomsmen’s bow ties and suspenders, the ribbons on the bridesmaids dresses, the cake, the papers used in the wall decor – even the little colorful stones used on the tables were referred to as ‘glass polka dots’. 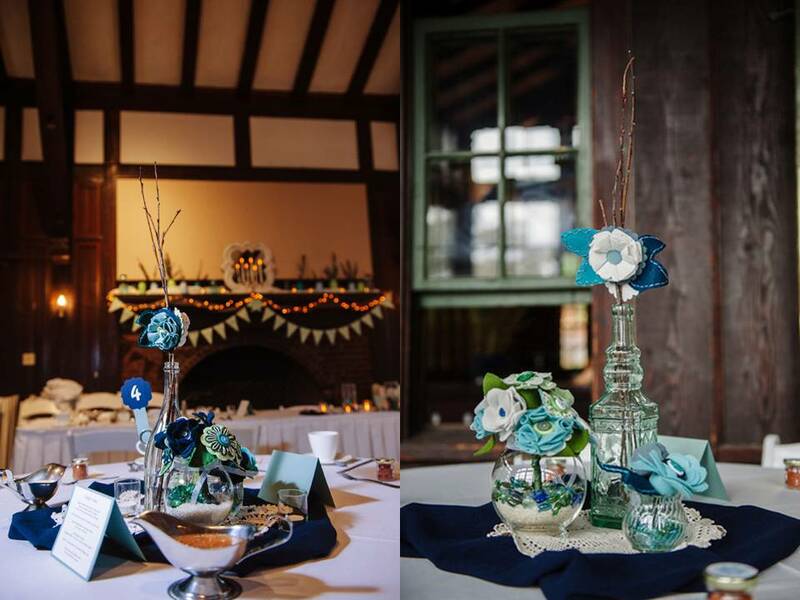 Posted in Real Weddings, Sustainability and tagged blue and green wedding, diy wedding, polka dot wedding, Theodore Wirth Chalet, vintage wedding. Bookmark the permalink.